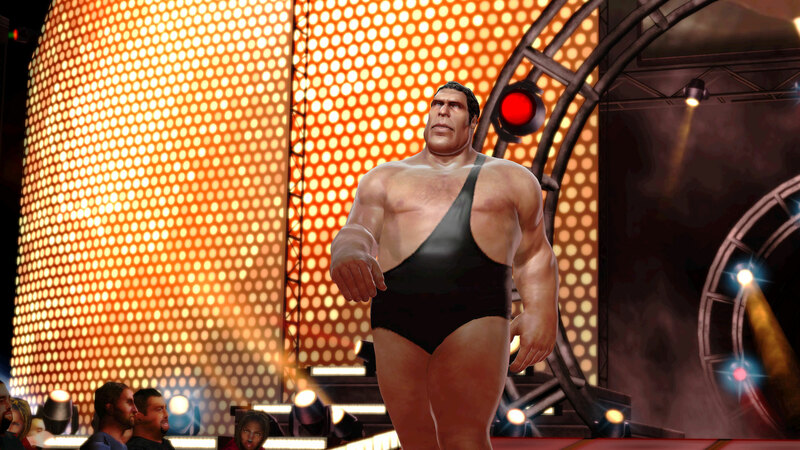 So as a wrestling fan and a gamer I am pretty hyped for the next WWE video game, WWE All Stars. The strap line for the game is “2 Generations, 1 Ring” and this could be a game that brings in wrestling fans of the past generation. There are more wrestlers from the past that are to be announced and it could be the names above that help THQ when they come to announce their Q3 financial figures. So using “legends” should help bring old WWE fans out to purchase the game. 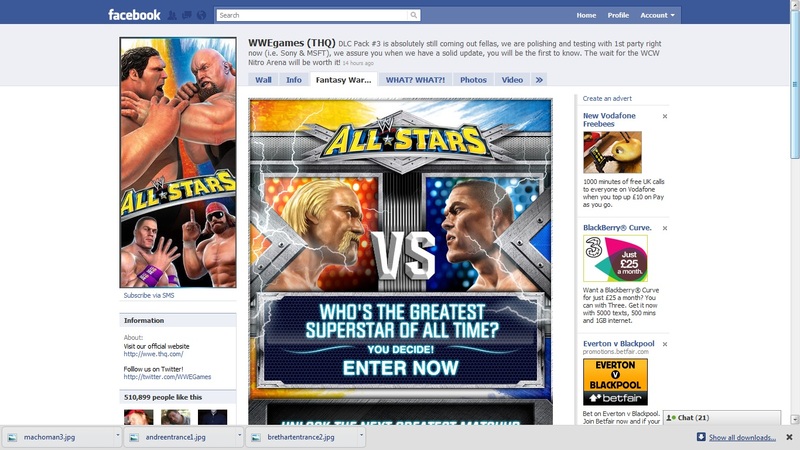 Friday also saw the launch of the WWE All Stars Facebook game – Fantasy Warfare. At the moment there is one match unlocked, two icons of their respective generation; Hulk Hogan Vs John Cena. A nice video plays combining real footage and gameplay footage talking up both men you then get to choose who you think would win in a match. The match up then starts using WWE All Stars game footage and at certain times you get to choose some moves for either of the characters to pull off. When the match has ended you are encouraged to share your choice with your Facebook Friends. Another incentive to share is that you will be entered into a prize draw to win a trip to Wrestlemania 27 in April in Atlanta, Georgia which, for any wrestling fan is a huge deal. Sharing also helps unlocks new matches to play and more game footage to watch. In my opinion it’s a great use of Facebook to promote the product although my only issue with it is that the wall posts are quite wordy and could end up annoying some friends who see it on their news feed. I urge you to have a look at the Facebook game, wrestling fan or not, gamer or not. See what you think. Is this a good use of Facebook to promote a game? If you were a wrestling fan back in the day would this tempt you in to purchase the game?